Economical Discovery Series hydraulic excavators, designed to deliver ´more dig for the dollar,¨ are now available in two-wheel-drive and four-wheel-drive models. Virginia -based crane rental company W O Grubb has used a ML300 crawler to replace an industrial lime kiln at a plant in Wilmington, North Carolina. Mammoet has begun preparations for lifting modules on to the P-76 floating production, storage and offloading (FPSO) hull in Brazil. Pennsylvania, USA-based Insana Towing and Crane Service used its new Link-Belt ATC-3275 all terrain crane to lift a 73 tonne girder and a 60.7 tonne idler girder . 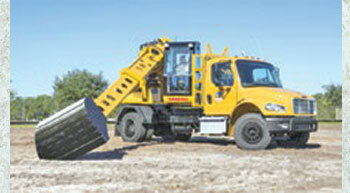 Featuring a 120-hp, turbocharged Tier IV final Cummins QSF3.8 diesel engine, the new Terex Generation 2 (GEN2) R350T . 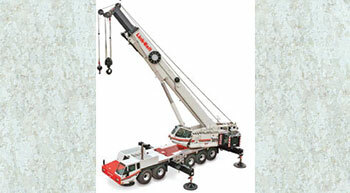 New York-based recovery company Michael Bigg has taken delivery of a Terex T780 truck crane from Empire Crane. According to AECOM, in the medium term (up to 2020) Indonesia is expected to see the fastest construction market growth of any Asian country. 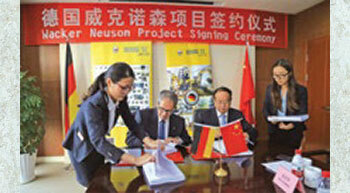 Wacker Neuson has further extended its production capabilities in Asia and strengthened its local presence in China with the construction of a new production plant in Pinghu, around 30 km from Shanghai. Eilon Engineering has launched its new Ron Crane Scales PRR (portable radio receiver) at the CeMAT trade show in Hannover.